The Local Government of Cagayan de Oro City thru its City Information Office and City Tourism Office just released this schedule for the Kagay-an Higalaay Festival 2016 Core Events. These photos/artworks are NOT mine, it was made by City Information Office. Please click the photo to zoom in. 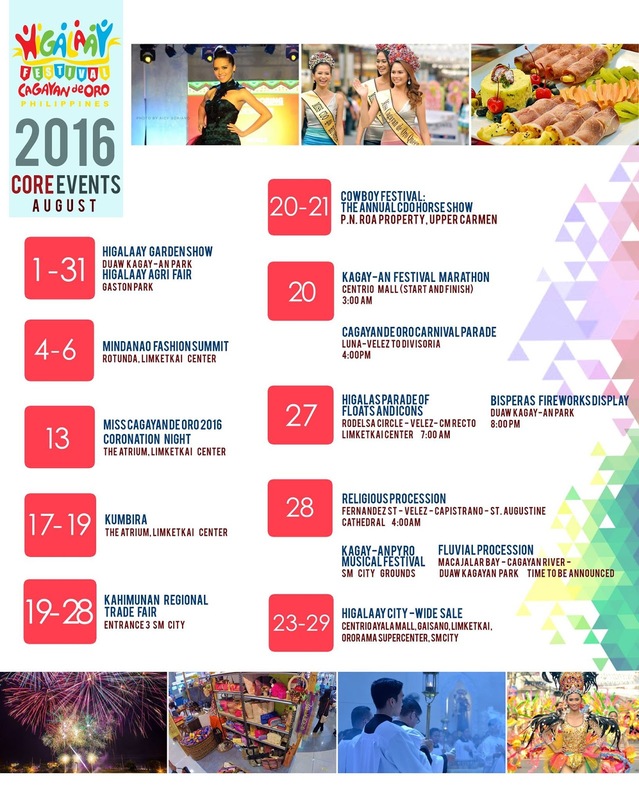 Kagay-an Higalaay Festival will be a month long celebration. As of this moment, the City Government only posted this core events, Parallel events will soon follow and we will post it as soon as its available. So come to Cagayan de Oro and experience the true meaning of golden friendship that the people of Cagayan de Oro are known for.